BELLEVUE, Wash., Oct. 9, 2018 /PRNewswire/ -- Expedia.com® today announced the launch of the Expedia Action for the Google Assistant, giving customers the ability to manage their travel plans through hands-free, natural voice commands on any Google Assistant-enabled device. After linking their Expedia accounts to the Action, travelers can get personalized assistance with existing itineraries, they can check Expedia Rewards balances, get packing lists, and much more. "We're excited to innovate with ways to make travel planning easier, no matter where you are or what device you're using. The market has seen rapid adoption of these new technologies within the past year and we want to make sure that Expedia customers are able to get the travel information they need, exactly when they need it. The Google Assistant is a step in that direction," says Expedia's Brent Harrison, VP of Product & Technology. The Expedia Action is free, easy to use, and is available in English on any device that supports the Google Assistant. Simply talk to Expedia on any compatible device and follow the instructions to link your Expedia account so you can get personalized help every time you come back. If you don't have an Expedia account yet, you can create one here. Once you're signed in, you can engage the Expedia Action through the Google Assistant app for phones and Google Smart Speakers. Start by saying "Ok Google, talk to Expedia." "When does my flight leave?" "Book me a hotel in Antigua, Guatemala." "What should I pack for Austin?" "How many Expedia Rewards points do I have?" 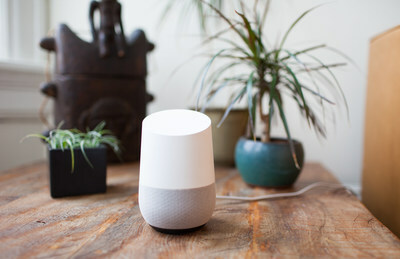 For more information on the Expedia Action for the Google Assistant visit https://www.expedia.com/google-action and check out our Expedia Viewfinder blog. Be sure to download the award-winning Expedia App for iOS or Android for exclusive savings on hotels, flights, cars and Things to Do. Plus, earn double Expedia Rewards points every time you book through the app. Expedia.com® is one of the world's largest full service travel sites, helping millions of travelers per month easily plan and book travel. Expedia.com (https://www.expedia.com/, 1-800-EXPEDIA) aims to provide the latest technology and the widest selection of top vacation destinations, affordable airfare, hotel deals, car rentals, destination weddings, cruise deals and in-destination activities, attractions, services and travel apps. © 2018 Expedia, Inc. All rights reserved. Expedia and the Airplane logo are either registered trademarks or trademarks of Expedia Group, Inc. in the U.S. and/or other countries. All other trademarks are the property of their respective owners. CST# 2029030-50. Visit our web site https://www.expedia.com/ or use our mobile app to book cheap flights and hotels.